Today’s American farmers truly feed the world. At Woods Aviation, Inc., and Walt’s Aerial Spraying, LLC, we are proud to play a role in that mission by providing superior precision aerial application services at the critical time when your crops need it most. Our team’s low-level piloting experience combined with our use of cutting-edge technology such as newer model ag planes, automated loading systems, the latest GPS equipment, customized online mapping, calibrated flow control valves, and real-time wind and weather data, allow us to truly hit the bullseye when it comes to delivering crop protection products directly to the plant. Because we are family-owned and farm-raised, our top priority will always be personal customer service. We are deeply committed to your satisfaction. Let us help you grow your best product every season. We want your crops to rise above the rest. Let us take on your toughest pest challenges with a full spectrum of crop protection products to relieve pressure from weeds, insects, and disease. We work hard to maximize your yields because, the bottom line is, we are in this together and the only factor that determines our success is yours. Don’t let weeds get in the way of your grass production. Realize the full potential of your pasture with a rangeland management plan that includes weed control through the aerial application of herbicides. Aviation and agriculture have always been in Waylon’s blood. Part of a large farming family, Waylon dreamed of joining the graceful ag pilots who worked the skies over the fields. He started as a loader and ground rig operator for a local aerial application business before spraying his first acre as an ag pilot while still in college. 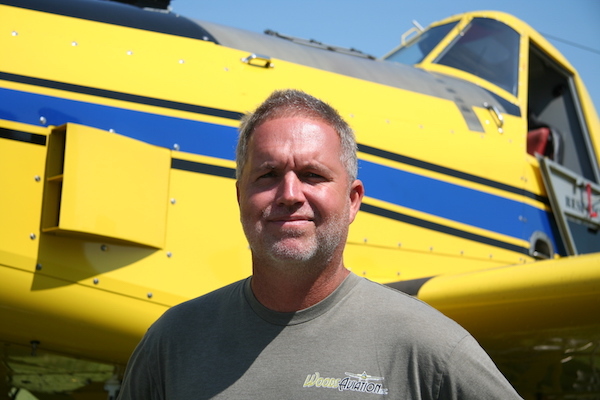 With an Agribusiness degree in hand from the University of Nebraska at Kearney, Waylon bought an Air Tractor, started Woods Aviation in Kearney, Nebraska, and eventually acquired Walt’s Aerial Spraying in Central City, Nebraska. Waylon is passionate about utilizing technology to maximize safety and improve quality. He loves being a father, watching baseball, playing old country music on his guitar, and flying airplanes. Waylon lives just outside of Kearney with his family. Matt grew up in Sidney, Nebraska, and then moved to Kearney to attend the University of Nebraska at Kearney. He worked on the ground crew at Woods Aviation and also completed his commercial pilot’s license. 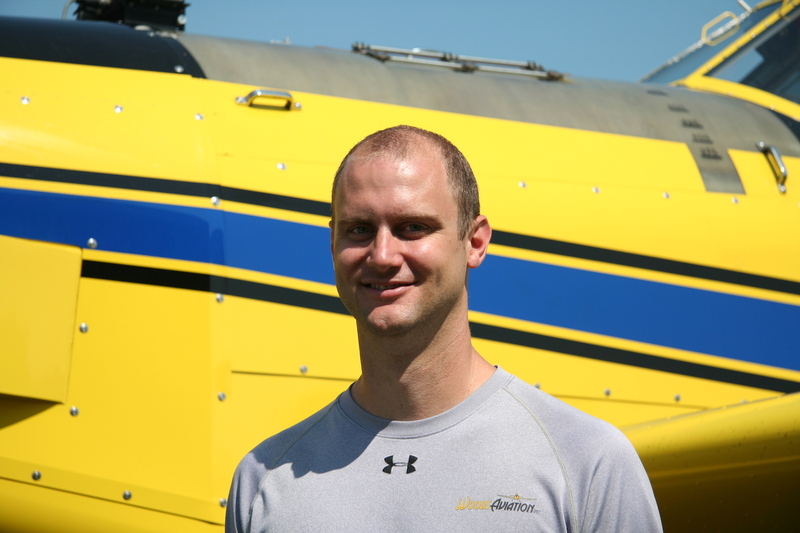 Matt graduated with a degree in Industrial Technology but was hooked on ag aviation. He trained at an agricultural aviation flight program and in 2012, began working his way into a turbine seat at Woods Aviation. Besides flying, Matt is a proud father, plays on a variety of community sport teams, and practices his golf game. A long-term pilot at Woods Aviation, Matt lives in Kearney with his family. From Elwood, Nebraska, Jay worked in various aspects of agriculture while growing up, including working as a farm hand in the Kearney area. He always had aspirations of becoming an ag pilot and fulfilled that dream by earning a commercial pilot’s license and then training at an agricultural aviation flight program. 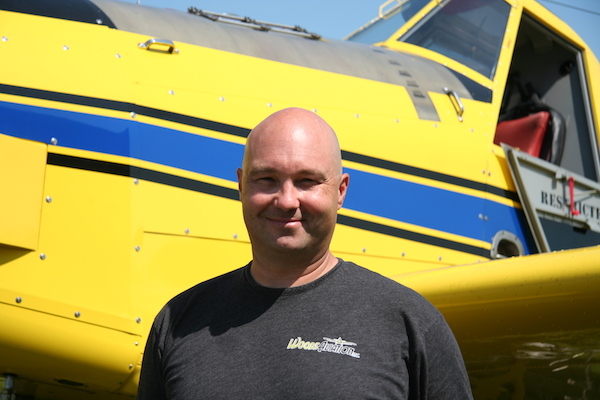 He flew for two seasons in eastern Nebraska before joining Woods Aviation as a turbine pilot in 2011. Jay’s hobbies include restoring classic cars, traveling with his family, and playing with his beagles. A long-term pilot at Woods Aviation, Jay lives outside of Kearney with his family. Chip grew up in Minden, Nebraska, where from an early age, he was involved in his family’s aerial spraying business. He and his brothers loaded planes and flagged in the fields, and it was while watching his dad fly that Chip was inspired to become an ag pilot. 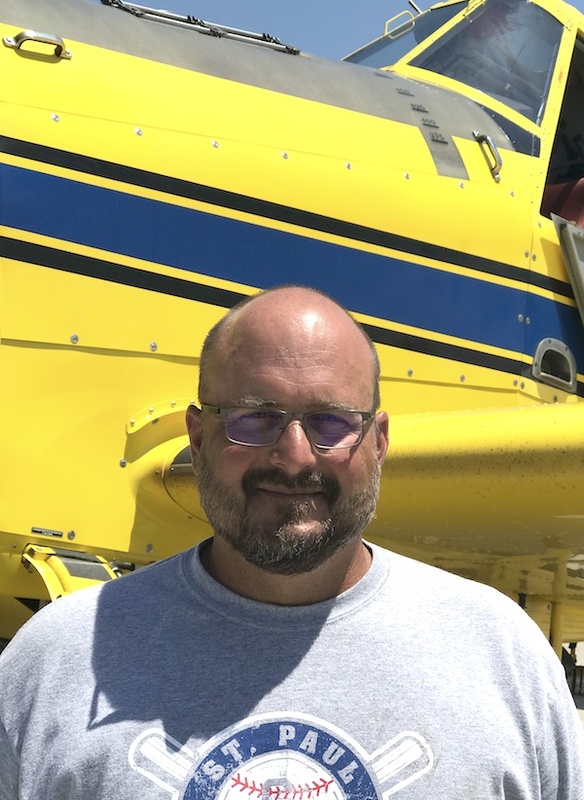 Chip got his start in 1998 flying government boll weevil contracts in Oklahoma before settling in St. Paul, Nebraska, and buying an aerial spraying business. Chip loves to coach his kids’ baseball teams, travel with his family, and fly airplanes. A long-term pilot at Walt’s Aerial, Chip lives in St. Paul with his family.